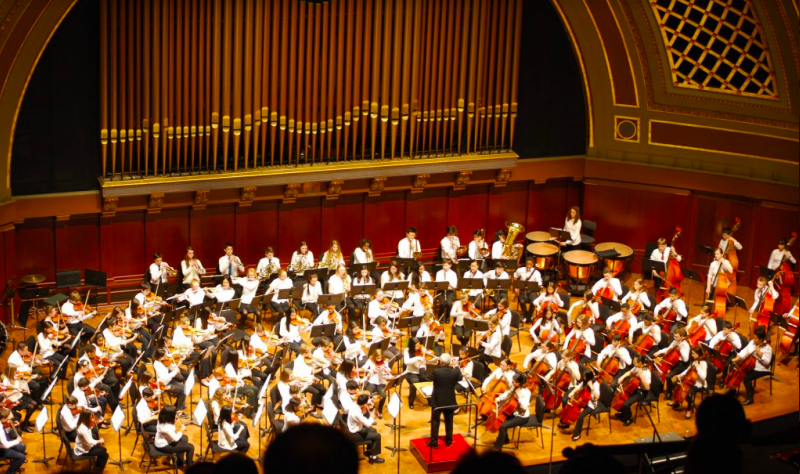 Ann Arbor Public Schools has a vast history in sustaining prominent performing arts programs. It is with pride that today's Slauson Golden Bears perform in such a historical building. Elizabeth A. Green was the first director to grow the Ann Arbor High School Orchestra to the level at which it remains today. She helped in the design of the Slauson music wing in 1954. Some of the music that she purchased is still in the music library and playable by our current students. Ms. Green went on to teach at the University of Michigan. She passed away in 1995. In 1967, a student of Elizabeth Green was hired to teach instrumental music at Slauson. E. Danel Long spent the entirety of his 35 year career at Slauson. He has influenced thousands of students to be the best musicians and people they can be. The music wing at Slauson is dedicated in his honor as the E. Daniel Long Music Wing. Mr. Long still resides in Ann Arbor and stops in to see the Slauson Orchestra on special occasion.